Coonoor is situated in the mountains of the southern part of Tamil Nadu, come to visit the enchanting hill station Coonoor. A must visit place for the urban traveler to reconnect with nature far away from the hustles and noises of city life! Visit Coonoor would be incomplete without the visit to the Tea garden and the factory. Tea estates sprawling around the hills are a treat to watch and one can find the way of collecting tea leaves. During Ride to the factory, one would get wonderful views of Coonoor and the road journey is something one would enjoy very much. One can also see the local tea manufacturing and can get to know intricate details of the various types of tea produced, production processing, and how tea production is entwined in people’s life etc. Oh… And one would not want to miss the tea tasting session at the factory! One can boast of your knowledge on how tea is manufactured from tea leaves next time when one drinks tea. Wouldn’t it make a fine tea time conversation with friends! One can experience the local life shopping in local bazaars, wandering through the tea estate, chitchatting with local people. One would feel the warm culture and openness this small village preserves despite being one of the top summer destinations in south India. It has a good aesthetic in maintaining the authentic south Indian culture and one can find rare valuables like pure honey, organic spices and Eucalyptus oil in the local shops. 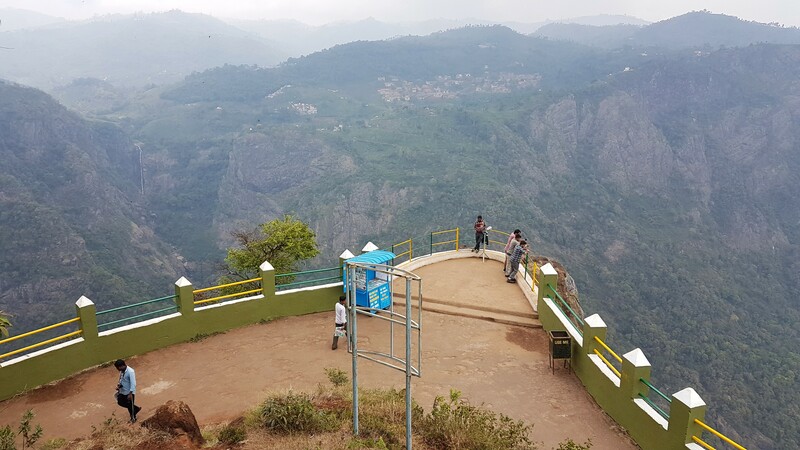 One can visit Dolphin’s nose situated 10 km from Coonoor to view the fog covered mountains and to get a panoramic view of the valley standing on a rock formation in the shape of a Dolphin’s Nose. The scenery also includes a long distance view of the Catherine waterfall. Catherine Falls, located at 20 km from Coonoor is a double-cascaded waterfall. This waterfall is named after Catherine Cocburn, the wife of M.D. Cocburn. Lamb’s Rock is the popular trekking trails and provides the amazing view of the tea and coffee plantations. One can also go for specialized trekking packages where one can experience living in the woods at night for a few days with only basic amenities. It is a truly unplugging experience when one does not have the nagging and calling of the urban world. One can scale up the mountain and the view from the top is exhilarating and also can see things from the top, feel the cool breeze and can spend hours sitting on the mountaintop. This hill station has more than 1000 Plant species and one can only awe at the biodiversity while paying a visit to the Sim’s park which provides a glorious view of the colorful flora like roses and daisies and also exciting to see the collections of the rare plants. One would definitely want to rekindle the childhood interest in botany after visiting this place. 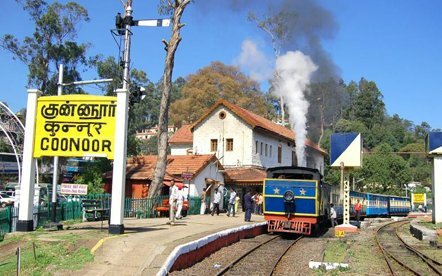 One can also visit nearby Ooty by means of the toy train, a British legacy operated now by Nilgris Mountain Railways (NMR). It passes through the thick forest and one would enjoy the scenic beauty of the Nilgiri hills, its valley and scenic plantations during the journey. One would have to book the train ticket through IRCTC which is highly in demand. Nilgiris Mountain Railways is one of the oldest mountain railways in India and was declared by UNESCO as a World Heritage Site in 2005. 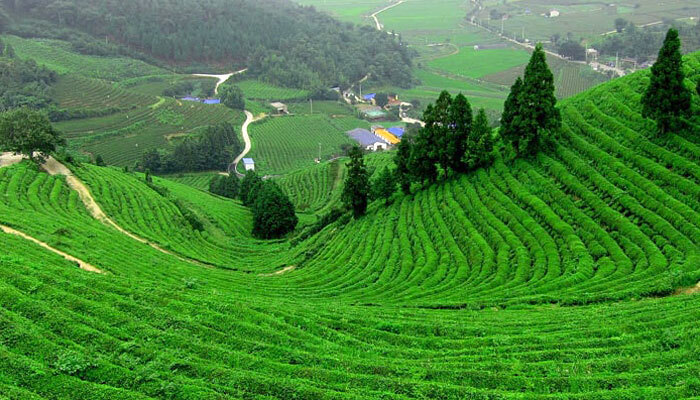 The best time to visit Coonoor is March to June & September to October. Coonoor is well connected with Ooty and Mettupalayam by road and rail. One can take a train from Mettupalayam which is at 19 km distance from Coonoor takes 2 hours to reach. Coimbatore, situated at 70 km from Coonoor is the nearest airport which connects directly to cities such as Chennai, Mumbai, Delhi, Bangalore, and Hyderabad. In essence, Coonoor entices and enchants the heart of the urban traveler and one would return back to the concrete jungle with loads of souvenirs and a memorable experience. A must visit place for the untamed, unbound youth of life. So these are the best beaches in Asia if you know any just do write in a comment.